…A few years ago, I took possession of the documents which you will discover within the pages of this website. I added my own research as well as that of countless others. I thought of all the things I wanted to say to welcome others to examine and explore our wonderful Gregory family history. Try as I might, I could not get past the preface remarks by Dr. Ben T. Gregory in 1986 when the first website was begun. 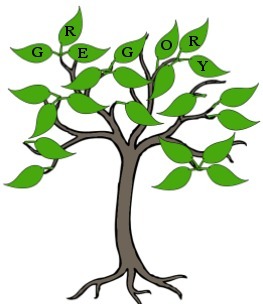 …..
“The research and production of this account of the Gregory family genealogy is the effort of many people. What started originally as a limited accounting of my one line of antecedents has been expanded to be as comprehensive as practical. In researching the Gregory family, the fact that the Yankee troops did not burn the Union, South Carolina Courthouse helped.